​Our next Second Saturday Trail Work Day is Saturday, May 11th starting at 8:30 am. We'll be meeting at Jerusalem Mill and preparing the area for Amy's Ride and Run occurring later in the month. Sturdy shoes, gloves and water/snacks are recommended. Tools will be provided. If anyone plans on bringing a group a people, please shoot us an email at gumbo@littlegunpowder.com, so we have an idea of what we have coming. We hope you can make it out! Ladies come on out for the More*Moms*On*Bikes beginner group rides, Thursday evenings, from 5:30 to 7:00 pm. Meet at the Harford Road parking lot on the Baltimore County side. Wheels will roll at 5:45 pm for about a 1.5 hour casual ride. There will be a MORE waiver to sign pre-ride. Please bring a helmet, water, snack and a well-maintained mountain bike. ​We're gearing up for the second season for our local youth mountain biking team, the Gunpowder Mill Racers! 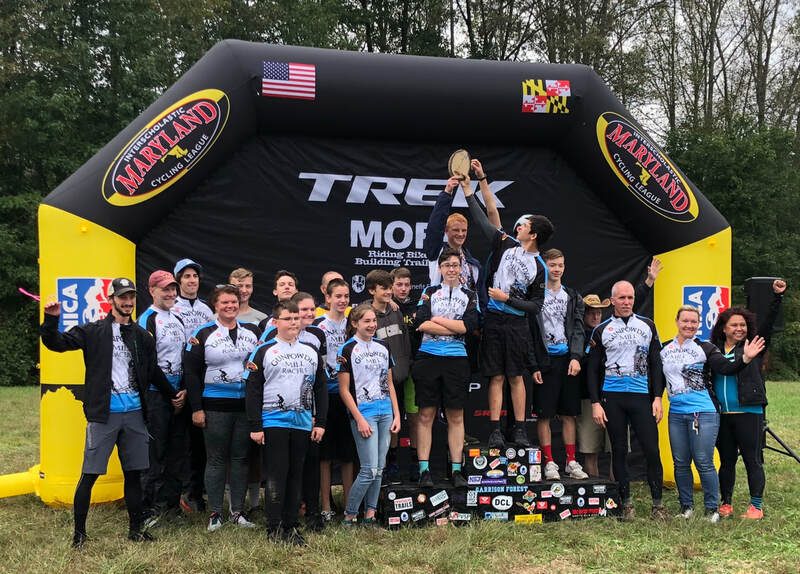 Our first year in the Maryland Interscholastic Cycling League was a huge success and we're looking to build on that! We got a lot of kids out on bikes and taught them the skills to be successful at mountain biking and most importantly, that you can have a blast doing it! Check out the Youth page for some pics from last season. Pre-season begins soon, so if you're interested in riding, have kids interested in riding or would like to help out, please email us at gunpowdermillracers@gmail.com for more information. Be sure to also check out the MICL website to see what it's all about. 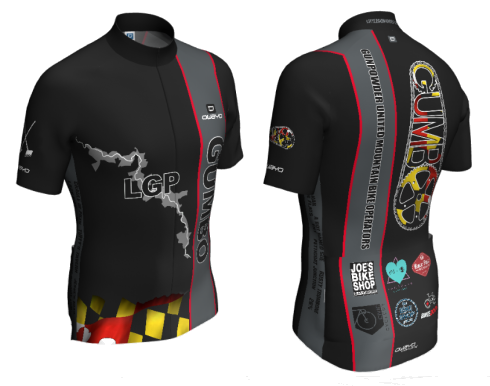 There are just a few black GUMBO Jerseys still available at Civic Cyclery in Bel Air. Quantities and sizes are limited (2 M's and an XL last we looked), so get yours while you can! 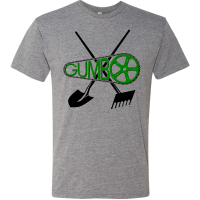 You can get your GUMBO Trail Tools t-shirt at Civic Cyclery in Bel Air. Cost is $15, with all proceeds going to support GUMBO. Stop in and pick one up! You can make donations directly to GUMBO using PayPal. Your donation will directly benefit the trail system by being used for trail building materials, tools and supplies. A complete trail map of the Little Gunpowder trail system is on Trailforks. You can use the map below, view it on the Trailforks web site or take the map with you using the Trailforks app! View the trail map during your ride using the Trailforks app! Available for iOS and Android, you can see your GPS location on the map, for easy trail navigation. See trail names, elevation info, parking areas and more. You can also use the app to view and report trail conditions.